Since I typically don’t have a cellular signal when I’m out on a trail in the backcountry, I usually turn my phone off. It’s nice to have a break from the non-stop pings of e-mails, chats and social media tagging. Cutting the cord lets me live fully in the moment and immerse myself in the world around me, something I think we all need more time to do these days. But there are some apps that don’t rely on a cellular/internet signal, which are very handy to have when I’m out on the trail, so I make sure I always have a way to charge my phone in case I need it. I’ve also learned that electronics can fail and I’m a big believer in redundancy. Some of these apps are great backups to any primary technology you might have. We have the best of both worlds since I have an Android phone and my husband has an iPhone. 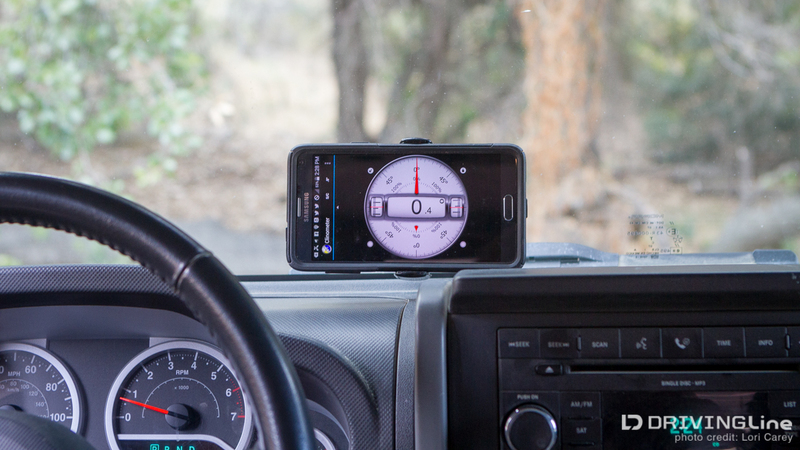 Today I’m going to share some of my favorite Android apps for my off-road trips, and next week I’ll share our favorite iPhone apps. Clinometer + bubble level – free Ever wonder exactly how steep a slope is because you felt like you might roll? This clinometer has a large, easy-to-read display, and the bubble level comes in handy for things like leveling out a trailer. SAS Survival Guide Lite – free SAS Survival Guide - $5.99 The free Lite version has some basic survival tips including things like how to find water, direction finding and signaling - but it is ad supported. The full version contains additional items like the entire text of the SAS Survival Guide, a Morse Code signaling device, photo galleries of edible, medicinal and poisonous plants, Extreme Climate Survival sections, how to handle fire and hazardous chemicals and a comprehensive First Aid section. 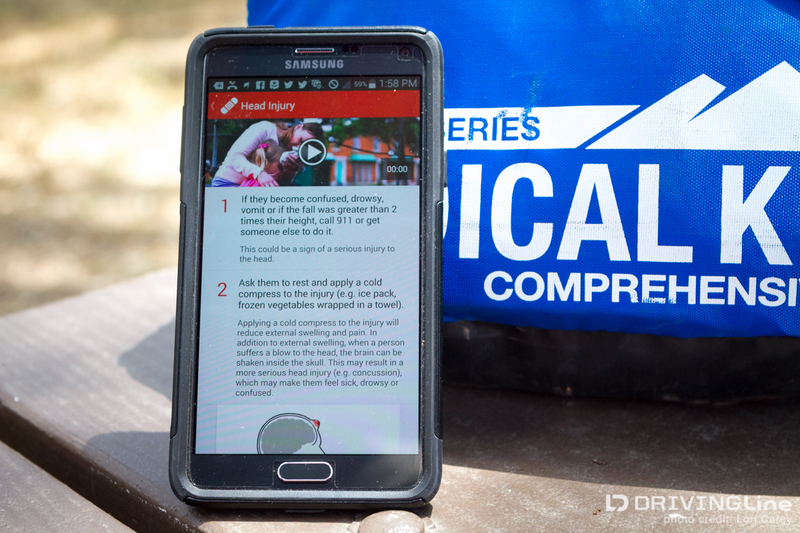 American Red Cross First Aid - freeThis app contains simple step-by-step instructions and videos for most basic first aid scenarios including heat stroke. The content is preloaded so no internet/phone signal is required, and it can be toggled to a Spanish language version. 911 is also integrated into the app so you can call EMS directly if you do have a signal. Backcountry Navigator TOPO – free Download free topo maps, aerial photos and road maps before you head out and you can use the GPS on your phone for navigating when you don’t have an internet signal. The app has many built-in map sources and allows you to create your own maps. You can also add custom GPS waypoints to your map. Tiny Flashlight + LED – free While I love the simple flashlight that came pre-installed on my phone for everyday use, it just has an on and off button. Tiny Flashlight adds a Morse Code signal device and strobe, and can use either your screen or your camera flash. Useful Knots – free My knot-tying skills never developed beyond being able to tie my shoes, so I love this app. It has sections for each type of knot (hitches, lashes, bindings, etc.) and then a selection of the most practical and useful. 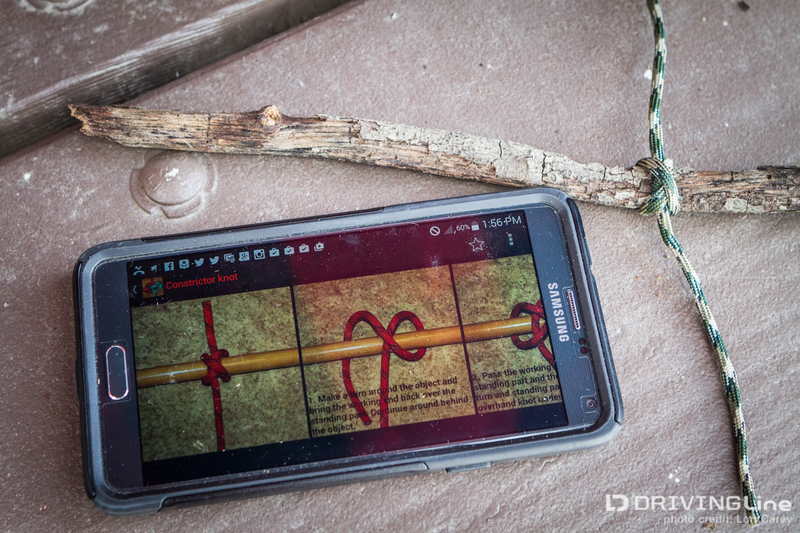 The easy to understand directions have step-by-step photos that make knot-tying simple, even for me. Google Sky Map – free My favorite app of all, I play with this every night in camp! It’s augmented reality, just hold your phone up to the sky and the app identified the stars and constellations. Do you have any favorite Android apps that I should add to my list?